The Myer family have appointed CBRE to offload a prime St Kilda Road office following more than a decade of ownership. Price expectations are around $65 million for the 312 St Kilda Road seven-storey building, which offers views across the Melbourne CBD, Royal Botanic Gardens and Port Phillip Bay. The listing comes amid a flurry of development and sales activity in the area -- sales in August included 390 St Kilda Road for $98 million and 420 St Kilda Road for $68 million. 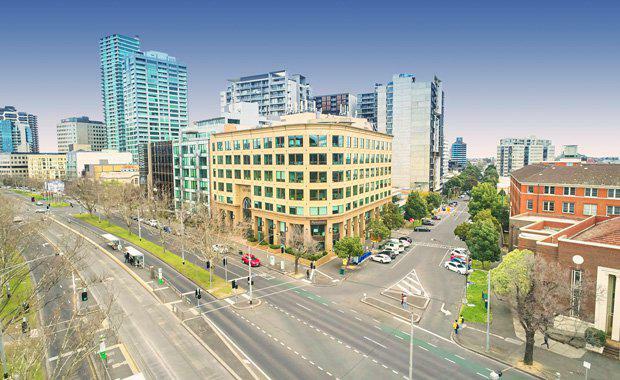 Myer Family Investments’ Chief Executive John Russell said of the decision to place the property on market: “After more than a decade of ownership, Myer Family Investments is pleased to offer the Gateway building at 312 St Kilda Road for sale. CBRE’s Kiran Pillai, Mark Wizel and Luke Etherington are the appointed agents. Boasting approximately 10,000sq m of net lettable area, the building is leased to major tenants including Healthscope, Vestas and Manpower Services. The property, which is underpinned by a 1,906sq m site, also includes a major commercial car park with 268 vehicle capacity. “With St Kilda Road’s rent growth continuing to climb and A grade vacancy at levels lower than the CBD, this opportunity is likely to catch the eye of investors looking for a best in class asset that offers real potential for solid reversionary income growth over the short – medium term,” Pillai said.